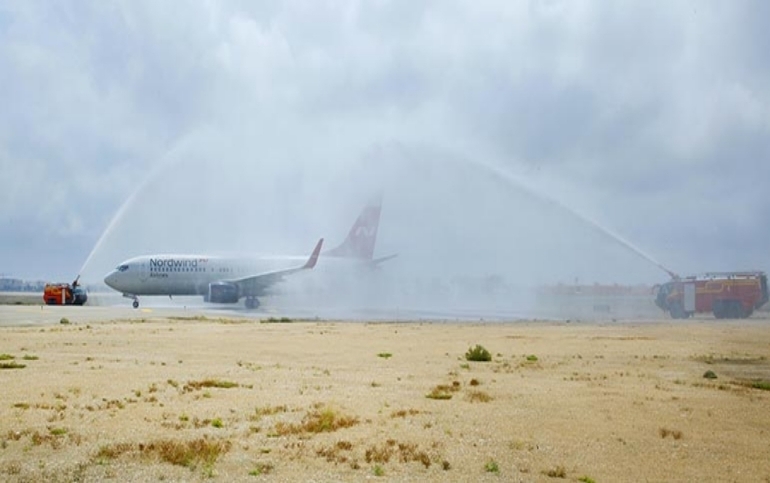 Last Monday, Salalah Airport received the first direct flight from Moscow via Nordwind Airlines. The first Russian flight landing in Salalah coincides with the beginning of the winter tourism season in Dhofar starting from October to April. “Russian Nordwind Airlines will schedule two weekly direct flights from Moscow to Salalah. The first flight has arrived at 11:30 am last Monday,” he added. Russian Nordwind Airlines has a fleet of 32 aircraft of different sizes, with 2,845 employees and operates in 110 cities across four continents in the world. Some of the Arab countries the airline operates in include Morocco, Jordan, Egypt and Saudi Arabia. Nordwind Airlines is ranked as Russia’s eighth largest airline and Russia’s sixth passenger transportation. "The new line has been launched to Salalah through the airline's largest aircraft fleet where 300 passengers arrived Salalah through first flight to Salalah Airport,” Al Yafei said. Al Yafei pointed out that Salalah Airport is equipped with all services and equipment to receive all types of aircraft, whether internal aircrafts or international ones from Europe and Russia. He assured that Salalah Airport has achieved success in the last tourism season by receiving tourists who have arrived through more direct flights from Europe. The tourism sector in Dhofar Governorate was ready to receive the European tourist groups during the winter tourism season of this year, while the Ministry of Tourism is also working on several projects and a promotion plan to make tourism components of Dhofar more attractive. Tourism in Dhofar Governorate is expected to witness a significant growth and prosperity during the winter tourism season as more tourists are expected to visit the Governorate to enjoy the various tourist attractions. Salalah Airport, in its first participation in “evaluating travelers’ satisfaction survey”, scored the 8th rank globally among 71 airports in the category of 2 million travelers.